Jena Malone will be 'ruin' in her next film, "The Ruins," that is ... come April 4th! Today (3/26) marks the 23rd Birthday of the lovely, beautiful, talented, and Oscar/Golden Globe Nominated British actress Keira Knightley. 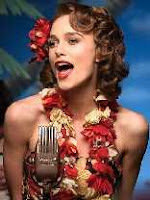 Keira has 2 new films for 2008. The Edge of Love and The Duchess. P.S. -> Speaking of birthdays or in this case anniversary, my P&P (2005) Forum turns 2 years online today too! I created the P&P fan forum the same day as Keira's birthday 2 years ago today (of course, unaware at the time that it was her birthday, lol). So, yeah, there are 2 reasons to celebrate today and every year...KK's b-day and the P&P forum. How cool, eh? Happy 2 Years Online P&P Forum! Official Site for The Edge Of Love Movie Coming Soon! The official sitefor one of Keira Knightley's upcoming film, The Edge Of Love will be live soon. 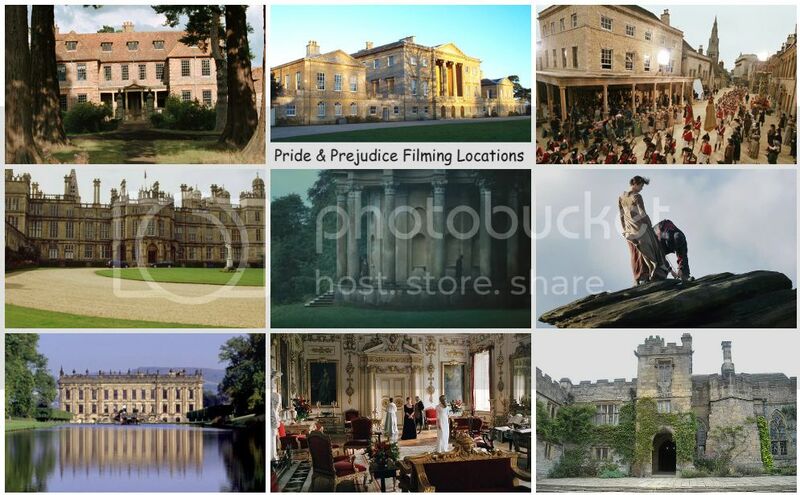 Previous TEOL images stills and BTS pics can be viewed here. Daily Mail reported that Matthew Macfadyen won the Best Actor award for Secret Life at last night's Royal Television Society's Awards. Matthew Macfadyen won the Best Actor gong for what judges described as a "compelling performance" in Secret Life. 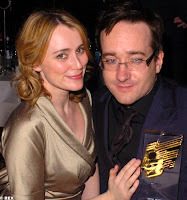 See a new picture of MM (with wife actress Keeley Hawes) to your left, after receiving his award. See more pics of MM (with his wife who looked to be rather shy on camera, pulled away after he tried to kissed her when he won to celebrate. Ouch, poor MM! Perhaps, she didn't like his new un-Darcy-like look there, lol) here. While we're still on awards topic, MM is also nominated for a BAFTA 2008 Award. 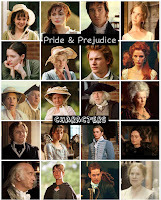 Here's a compilation of interviews from the main cast of Pride & Prejudice (2005) film. 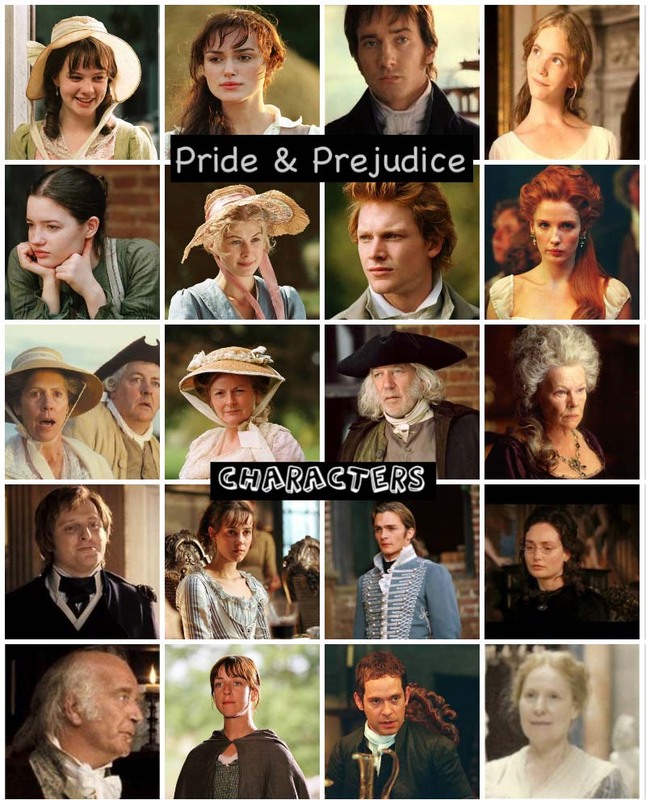 In the following random interviews for some P&P actors featured below, they were asked about their roles, co-stars, and the film. 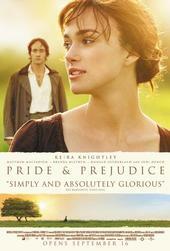 CS: In many of the previous versions of "Pride & Prejudice", the movie belonged to the actor playing Mr. Darcy. In this one, the movie belongs to Lizzie. Any thoughts on that? Question: I read you initially did not want to cast Keira Knightley? Atonement (starring Keira Knightley & James McAvoy) is released on DVD today! Be sure to get your copy! Rupert Friend will romance Michelle Pfeiffer under the watchful eye of Kathy Bates in Stephen Frears' French period drama "Cheri." Continue reading the very last one here ... from parts 1-4 here! British film fans delivered their verdict on the Oscars after voting Keira Knightley and Atonement the big winners at the Empire magazine awards. The Ian McEwan adaptation, snubbed in the major Oscar categories, took three prizes including Best British Film at the Grosvenor House ceremony. Knightley, also overlooked by the Bafta panel, was finally vindicated after readers of the top-selling film monthly voted her Best Actress. Her co-star James McAvoy, who lost out at the Baftas to Daniel Day-Lewis, accepted the Best Actor award at the event, attended by stars including Matt Damon and Ewan McGregor. Mark Dinning, Empire editor, said the British film category was the strongest yet with Atonement narrowly beating Control, the story of singer Ian Curtis and skinhead drama, This Is England.